Hi everyone! Can you believe in a few weeks it's going to be September! I know I can't! I feel we just stared the year...boy times fly. Any who for today's post I have some swatches by Pretty Woman nail lacquer I fairly new with the brand so I'm pretty excited to try them out. I love to try new brands, I received an incredible nail mail from them. 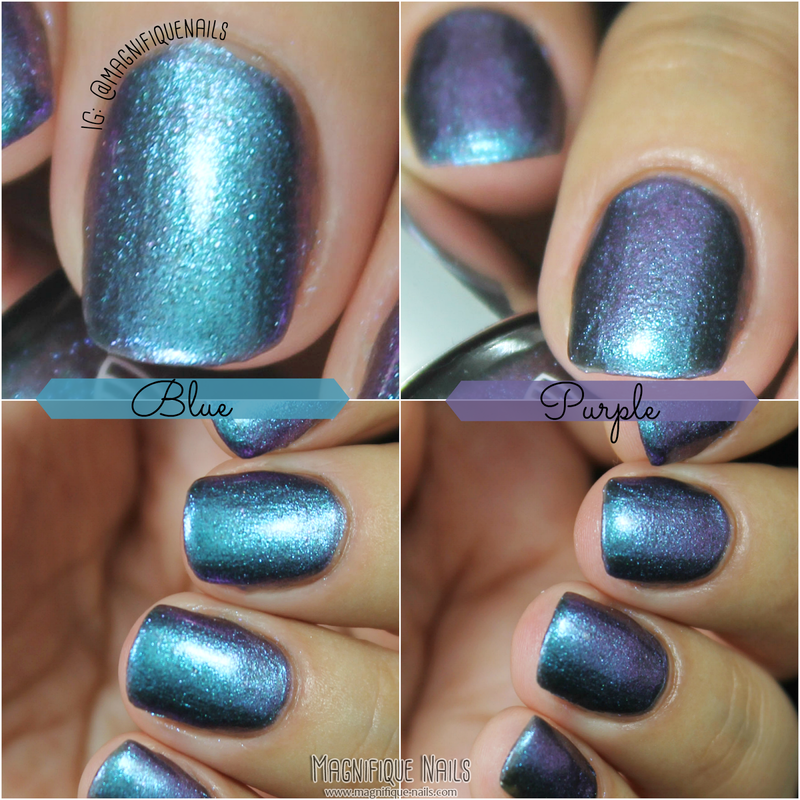 Stingray Chrome- this is a gorgeous duochrome that shifts from blue to a purple hue, with tons of shimmers throughout the polish. The formula is a little on the thick side, however, it was pretty easy to apply. It's absolutely beautiful, and one of my favorites! Completely opaque in just two full coats. This is two coats, sealed with top coat. 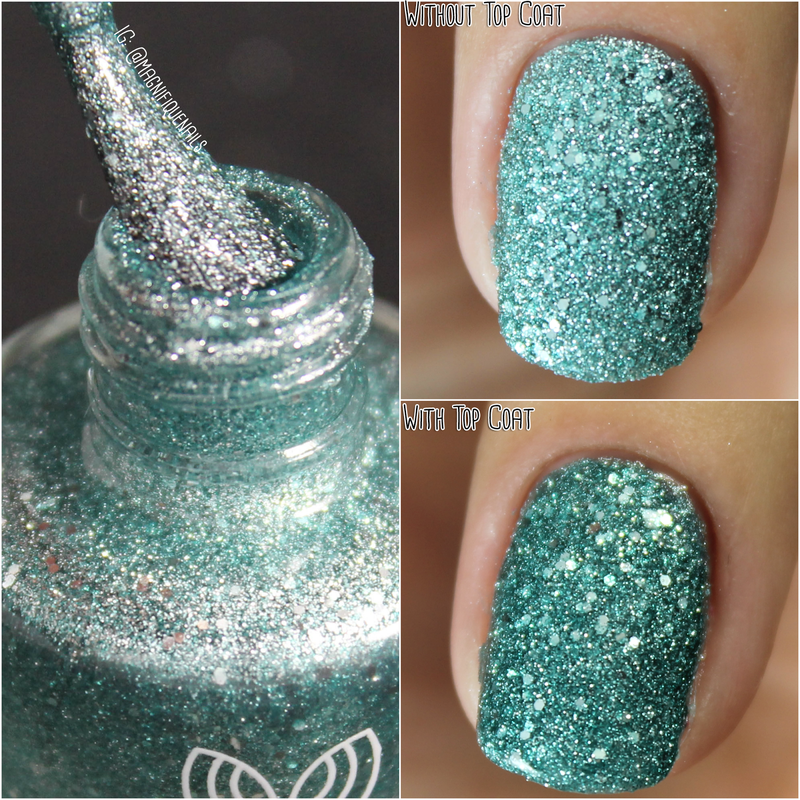 Turks & Caicos- A gorgeous teal texture polish, that has tons of sliver shimmer and glitters throughout the polish. This is absolutely beautiful! The formula on this polish was surprisingly good, and made it easy to apply. This was definitely opaque on one coat, which is fantastic. You can apply top coat for a glossy finish. This is one coat without top coat. Overall I completely in awe with the polishes, and they seem to have a variety of beautiful shades.The formulas is pleasantly good not too thick or thin, jut right for an easy application. Texture polish is my absolute fave, as a one coater. They are available now, and retail $7.99 on their site.